Every time we approach the Bible, we can be assured that God is near to us (James 4:8), able to speak directly to us through the stories of his people throughout history. Tales of faithful men and women, songs of praise, declarations of lament—each form of Scripture can instruct, guide, and encourage Christ-followers on their journey. Reading the Bible devotionally is about engaging with the text at the heart level. What does a passage make you feel towards God or yourself? What prayers does a verse prompt you pray? How can a biblical character's story encourage you in daily life? Here we've detailed a few tips for interacting with your Bible in a way that stirs your affection for God, his church, and the least of these among us. 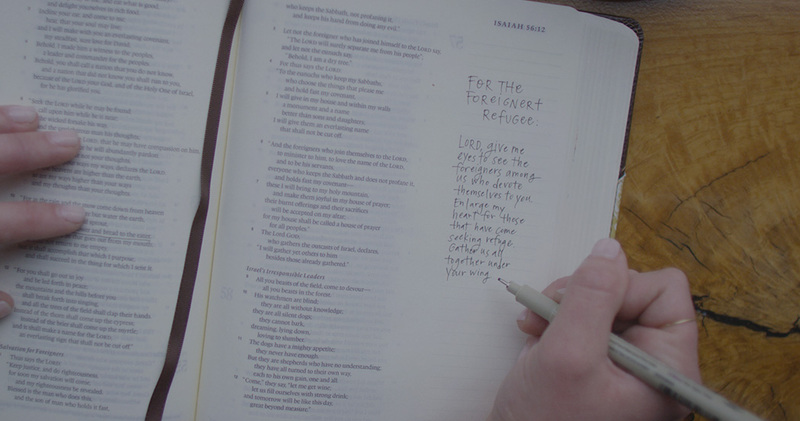 Using the margins of your Bible or a journal, writing down your thoughts and prayers can be a helpful way to track the ways in which you see the Lord speaking to you through his Word. Dear Lord, thank you for the gift of your Word! It is as sweet as honey to the tongue. Would you please open my eyes now to see the treasures it contains? Would you begin to till the soil of my heart, and make it fertile for planting your seeds of truth deep within me? Lord, help me to come to your Word with a desire to see you fully, to not interpret you through my lens, but to know you as you are. Help me to approach my reading carefully, being sure not to miss the context or larger story into which each passage fits. I pray that this time would produce much fruit in me as I come to meditate on your holy revelation. 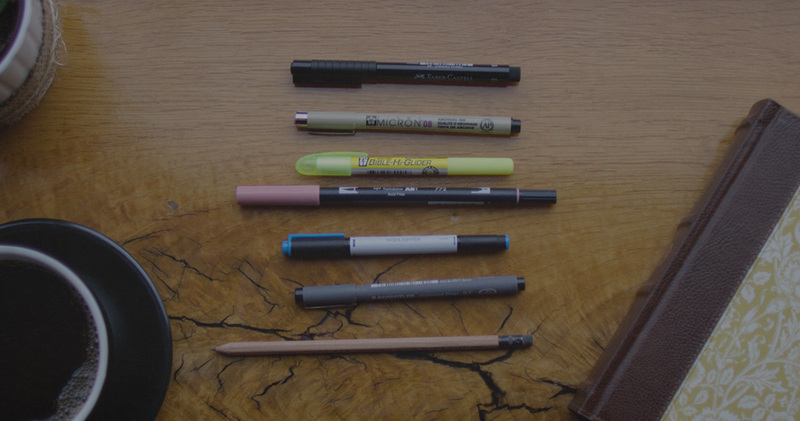 It's important to choose the right kind of pen or pencil when it comes to writing in your Bible, even if you're writing in a Bible with thicker paper (like the ESV Journaling Bible). 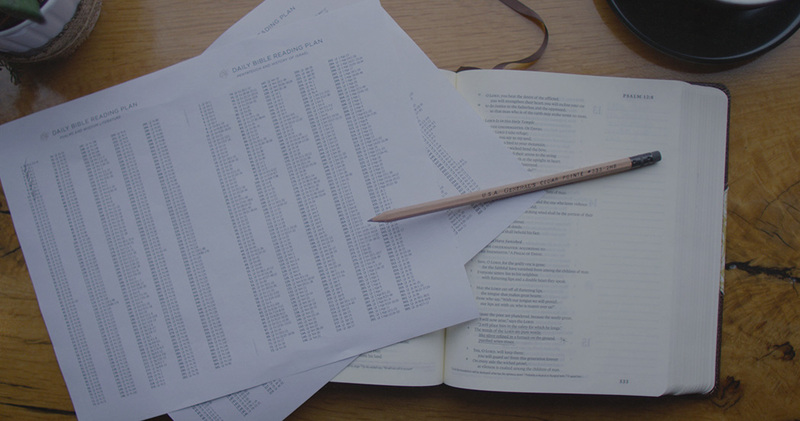 Download our quick-reference Bible Writing Utensil Guide for more helpful information. 2. 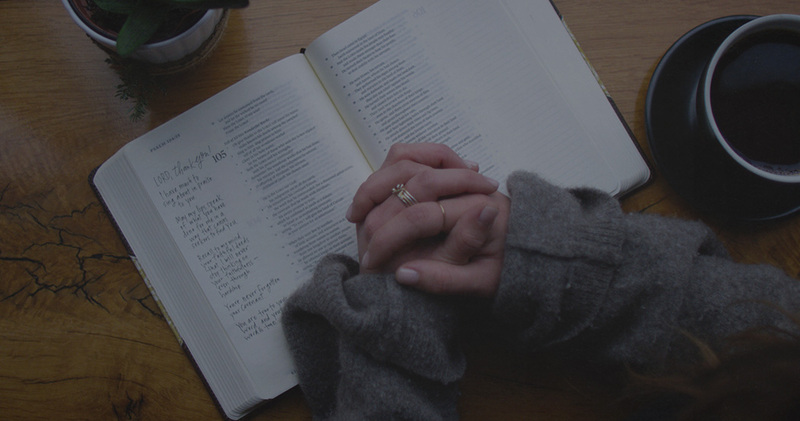 Write out prayers based on the biblical passage. What do the verses you read prompt you to think about who God is? Think on his attributes and his character. Write out a prayer thanking him for who he is and how you see evidence of his presence and care in your life. Who or what do the verses call to mind? What specific needs do those people represent? Write your prayers for them as they occur to you through your reading. What do you want to be remembered for valuing? Perhaps you plan to pass along a prayer-filled notebook or Bible to your spouse, a friend, children, or grandchildren. What prayers do you want to leave as a legacy for them? 3. Use a reading plan. 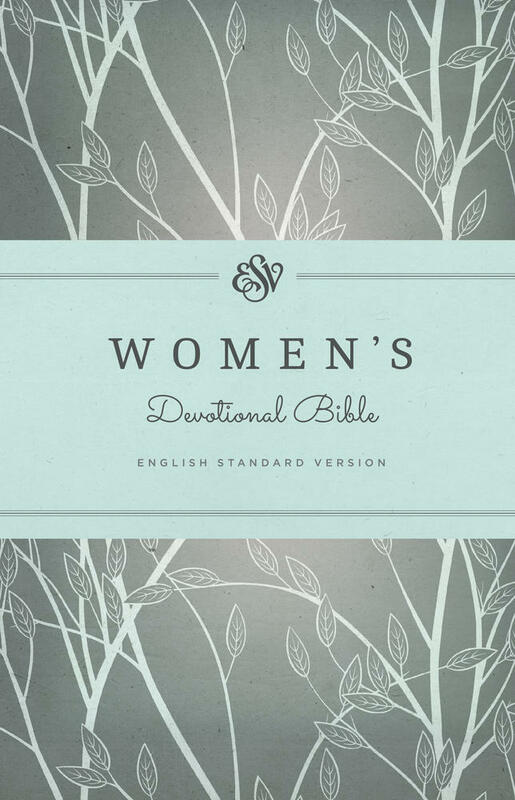 Don't know where to begin your devotional time? 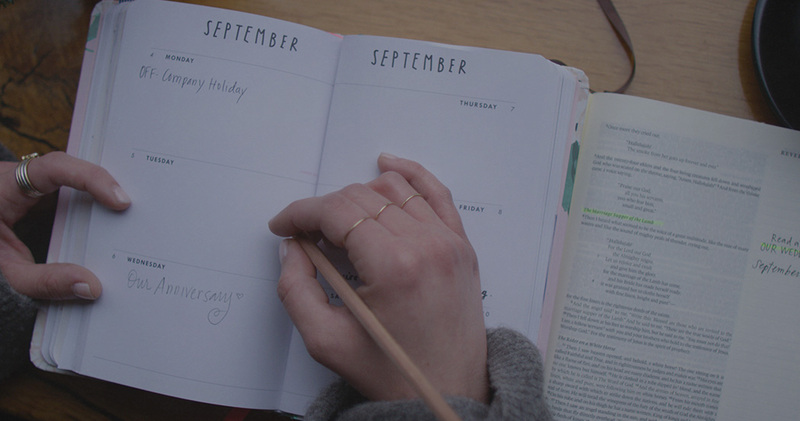 A reading plan is a great way to structure your time in the Word, giving you an approachable amount of Scripture to read on any given day. Browse our reading plan offerings, print one out, and tuck it into your Bible for quick reference. Choose a plan that's doable and perhaps different than one you may have tried before. For example, try reading the Bible chronologically, and allow any new insights or thoughts guide your devotional time in the readings. Use a notebook or your margins to ask questions, record observations, connect ideas or thoughts. A prompt can encourage you where to begin, eliminating some of the guesswork of where to read each day. 4. Add life events and dates in the margins next to key passages. Particularly if you revisit your notes on a semiregular basis, keeping a record of big life events or decisions beside particular helpful or encouraging Scriptures can be a great way to remember God's faithfulness to you through time. What passage did you choose to have read at your wedding? Write a note beside it with the date and the reader's name, jotting down a few memories or prayers associated with it. What verse did you cling to when you learned your uncle became ill with a terminal disease? How did you see the Lord minister to you through that word? Journal some thoughts or reflections on the season. What verse do you pray over your daughter each semester when she begins classes? Keeping record of these moment and occasions in your life can deepen your trust in God as you (or your loved ones) look back later on how he provided each timely Word. 5. Make connections to your own life and throughout Scripture. Through reading his Word, God might give you insights into the larger story of Scripture or reveal to you clear messages of how he's working or has worked in your life. 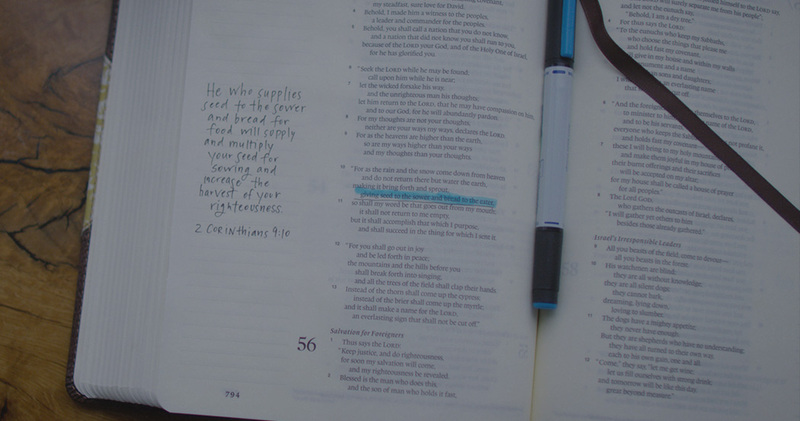 If reading a verse reminds you of another passage or verse, write in the margins. Take a few notes on how you see the two are related and what they each portray of God's nature. Are you starting to notice a theme in your readings? Did something you observed in your home, family, or work life have a direct parallel in Scripture? Take notice, write it down. 6. Resist the urge to underline/highlight everything. All of Scripture is God-breathed and therefore, precious. Each time we approach a passage, he might choose to emphasize a particular word or phrase to you. In a different season, another idea or theme might strike you. Leave room for that to happen. 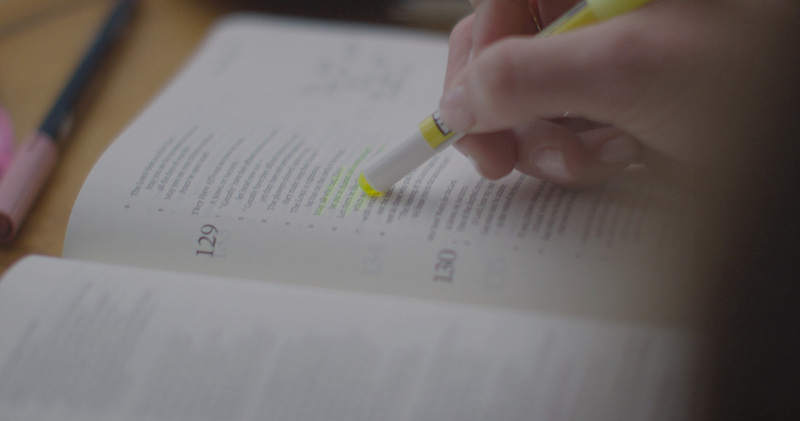 Use a notebook or your margins, but don't feel the need to highlight or underline every word of your Bible. This allows God to speak to you freshly each time you encounter it again. 7. Don't be afraid to ask questions. Reading devotionally doesn't mean checking out intellectually. Jesus reminded his followers to love him with all their hearts and minds (Matt. 22:37). As you read, are there questions the text raises? Want to learn more about what a certain word means or what a tradition or celebration entailed in its historical context? Record your questions, and then find a pastor, friend, or trusted commentary to help fill in some of the gaps. Close your time by thanking the Lord for his attention to your understanding of his Word. It is, in fact, his desire and great joy to communicate immense truth to you through it. What unspeakable love and generosity he has shown us—his church, his children. 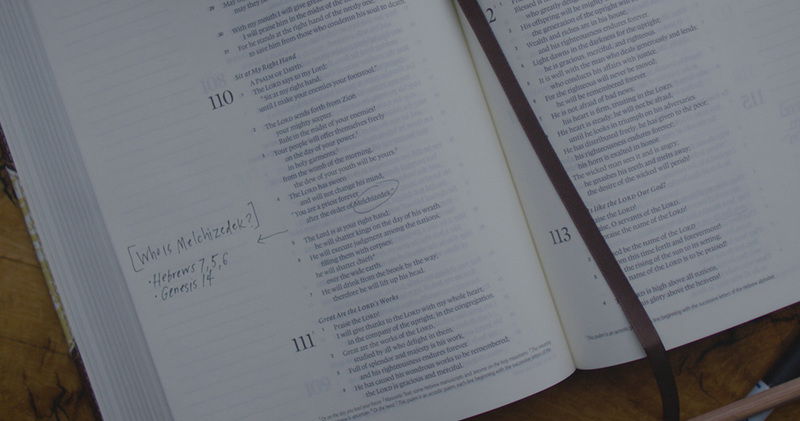 Featured in this post is the ESV Single Column Journaling Bible. Browse our entire selection of ESV Journaling Bibles.